Bridget Moran was a social worker in my town for many years, much respected by those she tried to help. She also wrote books, of which I've only read one - so far. After her death a bronze statue in her remembrance was commissioned and placed on one of the benches downtown. The pose is a listening one, as she did so often in life. You just know that if you sat down beside her, she would listen to all your woes. 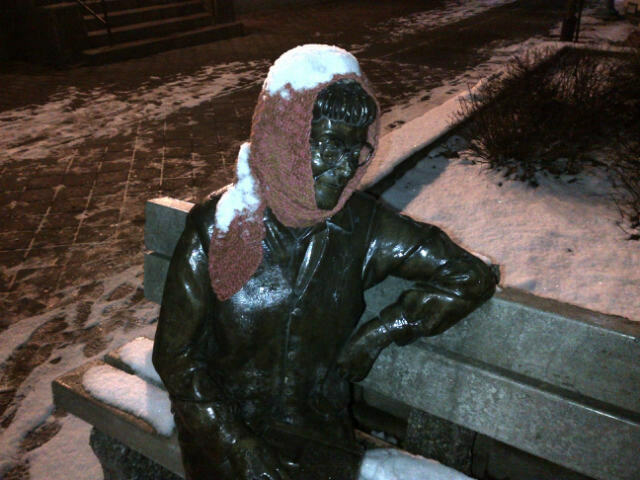 In years past people have at times helped her fend off our winter weather, and she sometimes sports tuques and scarves. We had some wet snow over the weekend so I was curious when I was in the area tonight to see how Bridget was faring. The scarf that had been casually draped around her neck last week had been redraped to cover her head against the falling snow. Tonight it bore a crown of wet snow. Not a great picture, but it was full dark and I was only using my cell phone. Stay warm Bridget. Four of six exhausted weavers, with some of their weaving from the weekend. 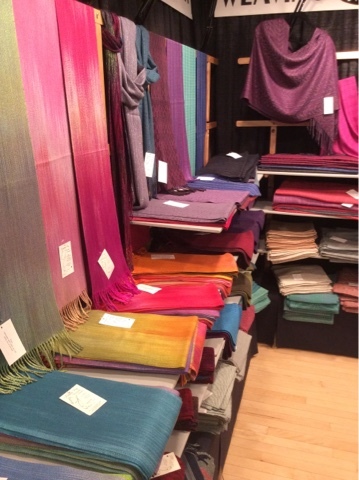 This workshop is actually designed for weavers who might be considered intermediate. Usually a lot of my time is spent explaining how the weave structures work to improve theoretical understanding of the included samples. This group wasn't quite to that level, so instead of focusing on theory of weave structures, the focus was more on understanding about the actual weaving...shuttle handling, with most of the warps needing two shuttles. How to deal with selvedges when using two shuttles. Controlling beat. Working with looms different than usually used. 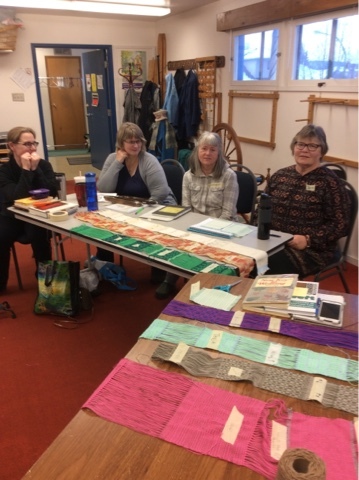 One participant had never woven before, so she was literally dropped into the deep end, scrambling to learn the weaving vocabulary and terms while trying to acquire the basic skills of reading a draft, treadling a loom, winding a bobbin, hem stitching. Saturday was a pretty intense day and I think everyone was feeling overwhelmed. Today they continued moving from loom to loom and most got a sample from each warp. But all of them showed a big improvement and while the samples weren't perfect, there was greater understanding of the materials and tools/equipment. I was pleased. I hope they are. Instead of doing something productive, I have found myself - for the last hour - messing about on the internet, not accomplishing anything at all. I could be working on the manuscript. I could be working on a yarn order. I could be doing a number of things. And I have done none of them. I think I might grab my library book and just sit in the easy chair and read. Not exactly productive, but better than playing games on the computer! 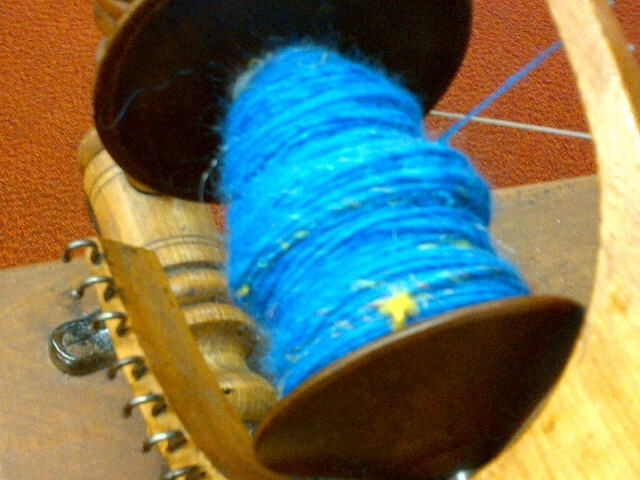 A very bad cell phone photo of the latest spinning. Since getting home from Vancouver I pretty much crashed and burned in terms of energy. So I have spent rather too much time doing nothing, or at least nothing in regards to weaving. I haven't been a complete slug, mind you. The inventory got sorted, items selected for the Circle Craft website, photos taken, hours spent messing about on said website, trying to figure out how to list said items. Olds homework got marked. Knitting got wet finished, some of it delivered to worthy causes. Two knitted items are for Xmas presents, so those just need to be 'wrapped' (as in placed into a gift bag). I read a bit, made a few jigsaw puzzles. I even spent a few hours on the manuscript until it got overwhelming. Now I'm doing the "this is crap" inner dialogue, something all writers go through at many stages of the book writing process. And this weekend is the weaving workshop. So tomorrow I need to get the handouts sorted for Saturday. The following week I will need to get ready for the guild sale. We are also into the flurry of getting as much of the renovation work done as possible. Well, not us, but the construction crew, but that means dealing with their schedule and their noise and commotion. But I really have been away from the looms for quite a long time, and need to gear up and get back to weaving. Hopefully refreshed with renewed energy. Currently reading Shadowed Souls, a collection of short stories. I spent some time during the show letting the people in my booth know that I was opening a shop on the Circle Craft website, and now I'm letting you, dear readers, know as well. Please note all prices are in Canadian dollars and I'm offering free shipping in North America. I'm not sure how the tax collecting - or not, if you are in the US will work - so if someone from the US purchases, could you let me know if the shopping cart recognizes an out-of-country address and doesn't charge tax? If it doesn't I will have to make an allowance for any tax billed. And let Circle Craft know that perhaps their web site could have a 'no tax' option for out-of-country purchases. I originally made this image a couple of years ago. It was my attempt to explain my personal philosophy. Right now, I feel the need to say it again. And I will keep saying it. As a human being, I believe that we are all in this same boat together. We need to encourage, support and lift each other up. 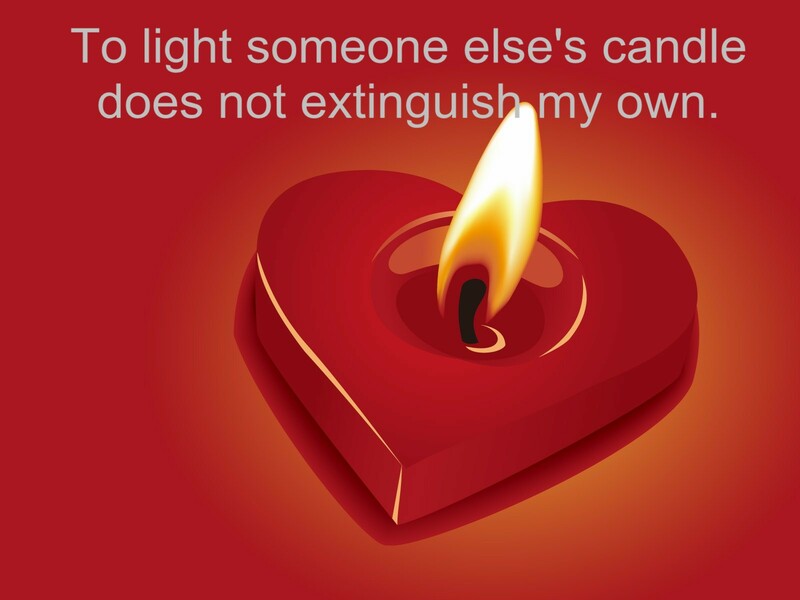 That lighting someone else's life with hope or support will never, ever diminish me. Rather, if there are two candles lit, the light will be doubled and the darkness driven back. Circle Craft's Christmas Craft Fair is pretty big, something close to 300 exhibitors. Over the space of five days I managed to walk the show several times, and each time saw - or missed - something or someone. During the slow times the crafts people can chat, but of course our primary reason for being there is to sell what we make. Every show is different, and there is no guarantee that anybody will buy anything at all. We pays our money, and we takes our chance. We head north in the morning. I'm grateful that this fair season is pretty much over for us with just the guild sale the first weekend in December. But the work will go on. I have signed up for an on line shop through Circle Craft's web site so I will have to go through inventory to decide what to offer and all the details of price, shipping charges, etc., not to mention taking the photos. And of course there is the workshop the last weekend of November. And let's not forget The Book. Today was day three of a five day show. It was also the longest day of the show at 12 hours. Saturday we close at 7 pm. Sunday we close at 5, but then follows pack up and out. We will be lucky to be back in the hotel by 9 pm. Every year the shows get harder and harder. 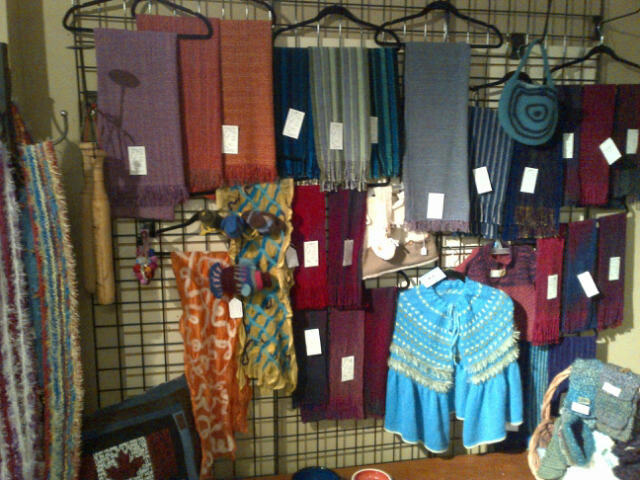 I have been producing and selling my work, both wholesale and retail for a very long time. I'm what you might call a 'veteran'. Since my goal from the very first day was to earn an income from producing textiles I realized very early that some shows attracted customers more willing, or able, to pay a premium for artisan designed and made goods. The shows that did attract enough buyers generally had different standards for environment, provided more services, and always cost more. But it became apparent very quickly that a show that provided all that was a much better use of my time and money than doing the other shows. But whichever type of show a crafts person does, there is no getting around the fact that it is hard. It is hard mentally, especially if you are an introvert. It is also very hard physically. And getting harder, the older we get. One of the difficult things is understanding the customer. Some of them simply cannot afford my prices. Some of them want to justify my prices by finding out how much time it takes to make an item. The question "How long did it take to make that scarf" is not going to get a definitive answer. Not that I couldn't tell them within five minutes exactly how long it took, but because it really isn't any of their business. The factors that go into pricing go way beyond how long it took. So now I explain that I work in batches and a batch of scarves takes days. 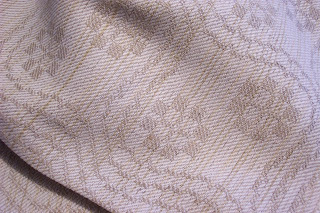 I also point out that I have been weaving for 40 years and my skill at making textiles is a culmination of those 40 years. 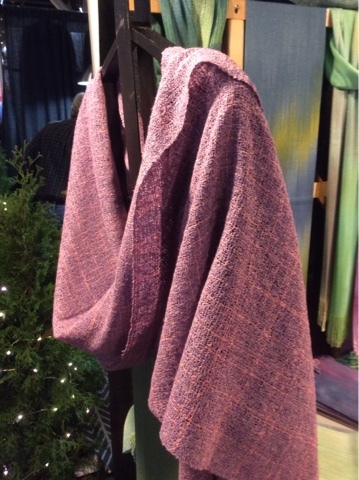 At this show I was approached by an earnest duo who were trying to convince me to let them help bring my textiles to a retail market. If I were 30 or even 20 years younger, I might have explored the concept further. But I've done wholesale, I've done consignment, I've done with working that hard. So I declined that opportunity. I hedged on a special commission. For that I will wait and see if I'm contacted. But that might get the no word, too. In terms of my career, my life, I'm over the hump. Now I need to think hard about what I want to do with what is left of it. There was a lot of discussion about fibre instructors getting a #fairfiberwage over the Labour Day weekend and a few weeks afterward. But there is another aspect of getting a decent wage from fibres and that is from selling textiles. I chose to become a professional/production weaver about 41 years ago. I have been doing craft fairs for about 37 of those years with my own booth. 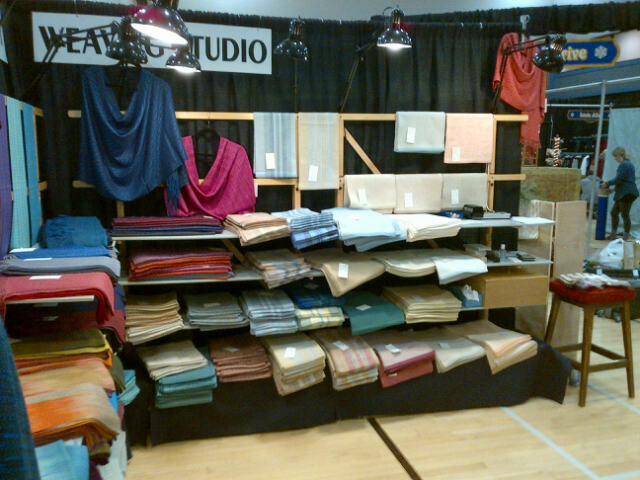 At one time I concentrated on table textiles and sold my place mats, table runners, napkins and such wholesale at the largest gift show in western Canada. So let's just say I have a fair bit of experience doing shows at both wholesale and retail levels. Let's also say I have had a fair degree of experience listening to the people that come through my booth. Let's say I have learned about things like limited budgets - from both sides of the equation. Because the one thing you do not do as a modern day crafts person making 'traditional' crafts? You don't get rich. And if you do manage to make money at it, you are working hard. Very hard. The one thing I don't want to hear, while standing in my booth? "Your prices are way too high. I can get a scarf at the mall for $25." My inner voice is responding "Then go to the mall." while I smile and nod and actually say "I understand about limited budgets." Abby Franquemont was very open about the costs of teaching, so let me be equally open about doing craft fairs at a 'high(er)' level. Let's take a theoretical craft fair. One in a large metropolitan centre with a long history of presenting a high quality show. Let's say it is open for 5 days. Let's say the booth rental for this show (for a corner booth) is $2400. Then add on any extras that you might need to rent for additional electrical beyond the 750 watts provided. That might cost $100. Let's say you rent a carpet. That might be $75. And so on if you need additional draping for storage or a fitting room (if you are selling clothing that needs to be tried on in private). Or, if you don 't want to rent things like rug, lights, additional draping, you need to purchase and ship it. Bear in mind that any draping must meet local fire code regulations, which is more and more often needing to be rated as fire retardant if not proof. 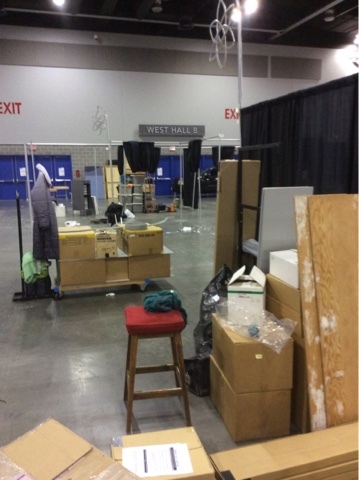 Generally most show contracts require the exhibitor to have $2M in liability insurance (in addition to whatever off site insurance you choose to have for things like a road accident with a van load of product, or theft of the vehicle before you get it unloaded - believe me, it happens). So we chose to purchase our own flooring, lighting, etc. This theoretical show is 450 miles away. Now we need to add in things like the gas/mileage/wear and tear on the vehicle. Current gasoline prices mean that this trip, to and fro, is going to cost around $200 just in gas, windshield washer fluid, etc. Meals on the road will add another $150 or so. The hotel for 7 nights at say $120-$150 depending on whether or not parking is included means an additional $840-$1050. Plus any meals we buy because we are too tired to make something - at 10 pm, in our hotel room. And that is before the doors even open. So show costs are, worst case scenario? $3800. Perhaps you have noticed there is no provision in that list for the material costs of the product, the operating costs of the studio (or even the insurance premium, but that is for the entire year, not just one show so I'm not including it here.) 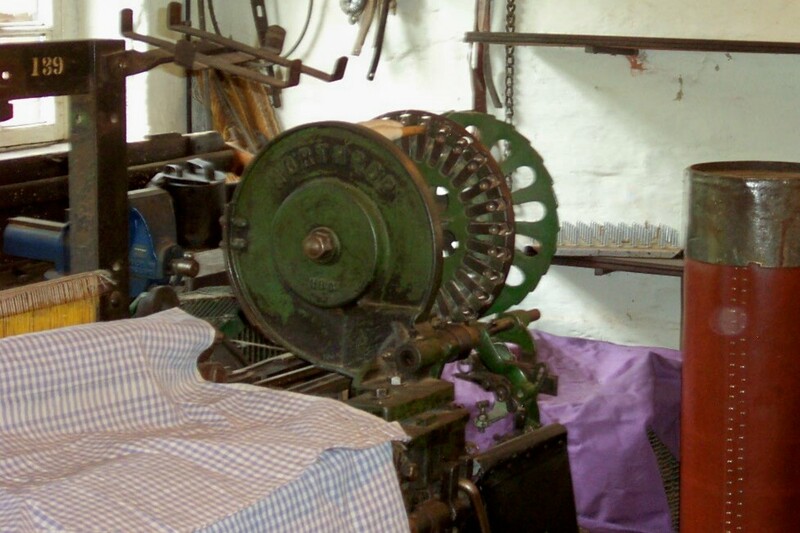 There is also no mention of the labour of making the textiles. Nor of paying any helpers that might be required - helpers who (unless they are a spouse) usually expect to at least get minimum wage. Currently just under $12 in my province. 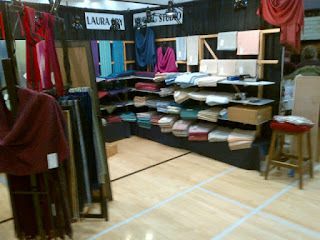 The uncounted 'costs' of doing craft fairs is the long hours involved - the making of the product in the first place - the set up, the hard physical labour of getting booth and inventory into the building, standing on a hard floor for, in some cases, 11 hours a day (10 am to 9 pm), sleeping in a hotel room, wondering what the weather will throw our way both back and forth, as well as during. The hours of dealing with the public (which for an introvert is exhausting, but necessary). And then there is the product development - the sampling, the sampling, the sampling - before I ever put a textile into production. So no, I am not selling my scarves for $50 each. They start at $100 and go up from there. While it is possible to buy a scarf at the mall for pennies in comparison, what I am actually selling is my design aesthetic, my experience, my skill at making textiles. When you buy a scarf - or a tea towel, or a place mat - from me, you are buying a piece of me. Comments from people who have purchased my textiles also report that you are buying quality - quality that lasts. Textiles that can be used and enjoyed, in some cases for decades. One of the challenges with trying to sell on line is getting good photographs of textiles. This is a lot harder than you might think. First of all - accurate colour. Colour on the internet is difficult because it may look perfect on my monitor - and vastly different on someone else's. There is also the lack of tactile experience. How to convey how something feels in the hand? The warmth of it, or the coolness? How soft, or rigid? The texture? All of these things are missing from the on line shopping experience. In the end I decided that, since I have sold my textiles at the Circle Craft Christmas Market for a number of years now, and have developed a bit of a following, that perhaps having a shop associated with the market would be a good thing. Once we are home from Vancouver - and I see what is left of my inventory - I will attempt to get photos of my textiles and post them to my shop. Since my neighbours were still setting up it was hard to get photos of the booth without other people in the shot. Or carts and cartons. But here it is - so far. 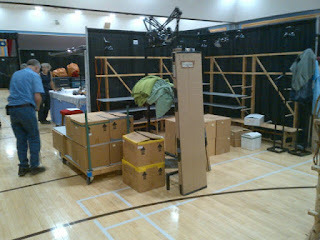 Did a quick and dirty inventory count and I should have plenty of inventory for this show and the next. Depending on what people want and if I have it, of course! It's always a bit of a crap shoot - will people like what I've made enough to pay my price? Or are people feeling the pinch? Mysterious object - attached to an 'industrial' loom at an old mill in England. If I remember correctly, it is a carousel holder for pirns for the fly shuttle on the loom. It seems as though lately 'bucket' lists have become popular. I'm quite sure we all have things we would like to do, places we would like to see, while we still can. We had hoped to cross The Pond next spring, but with the renovations now spanning winter, they won't be complete until the year is well advanced. And then I have what is shaping up to be a very busy teaching schedule in May and June. Since I'm not a big fan of traveling in tourist season, I'd almost given up going for a holiday next year. And then I heard from my friend in Sweden who casually (?) mentioned that the Vav conference would be happening in her neck of the woods...in September. 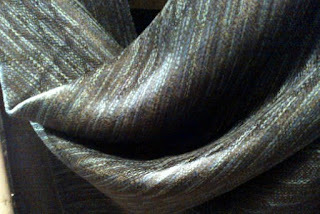 Now, being a production weaver, my autumns have been rather stressful, since the sale season begins the end of October. However, I do have a rather substantial amount of inventory, and if I get very organized in January through April, I could actually pump up the inventory well in advance so that a holiday in September would be possible. And attending the Vav conference in Sweden? Never once in my life thought it would be possible! It was such an impossibility, it wasn't even on my bucket list. But it was on my 'shadow' bucket list - you know, the stuff you'd love to do but never, ever expect to be able to do it? Like - write a book. Make a DVD - or two. Teach all over the place. And yet I did do those. Maybe I can get to Vav after all?